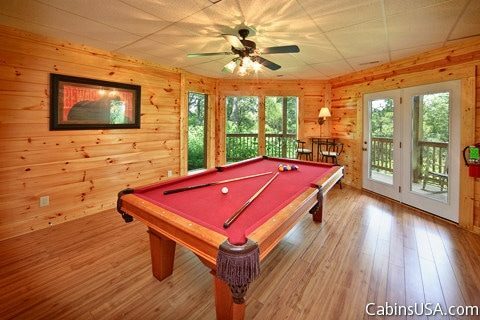 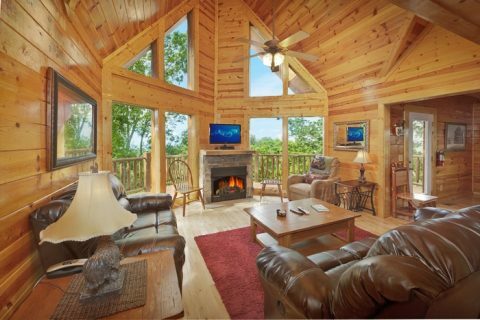 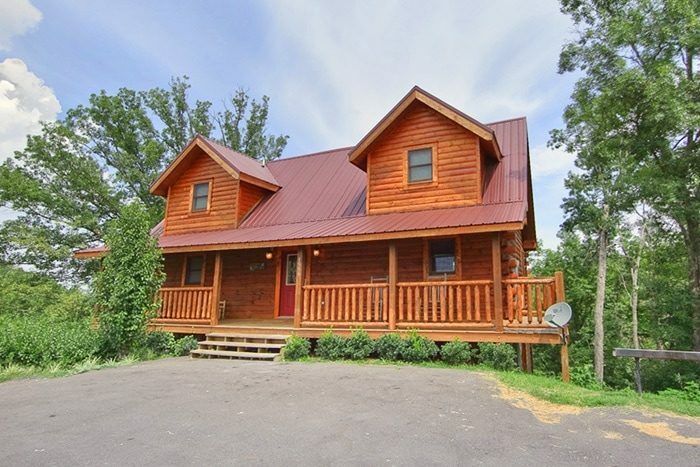 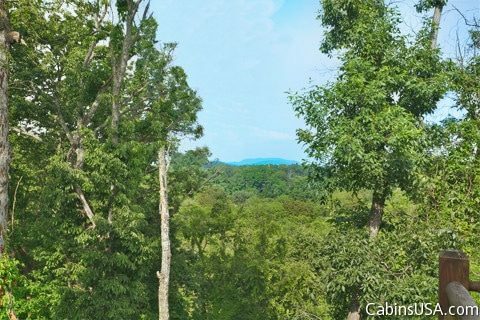 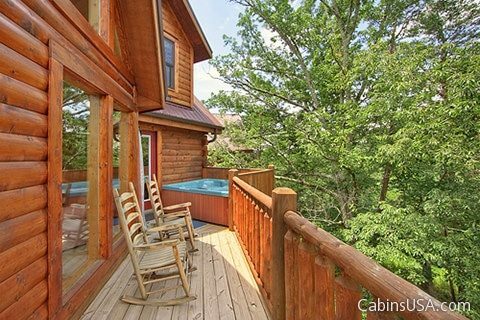 Your Tennessee vacation cabin, "Hilltop Hideaway," offers a spacious four-story interior with five luxurious bedrooms, a game room, and sleeping accommodations for up to 15 guests. 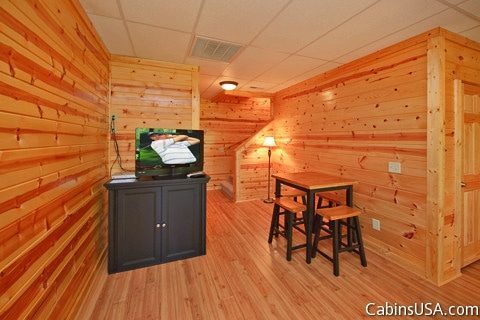 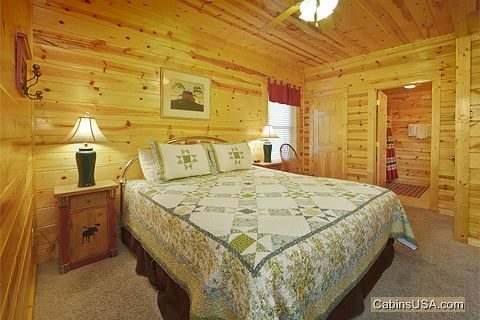 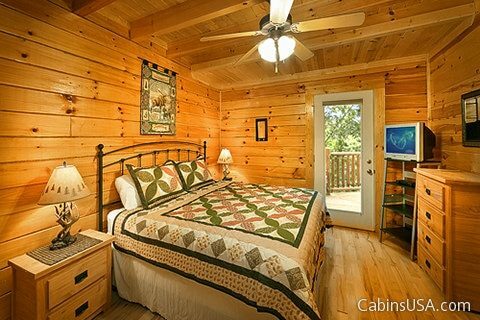 Additionally, you'll love your cabins convenient location near attractions, restaurants, and outlet shopping throughout the Smokies. 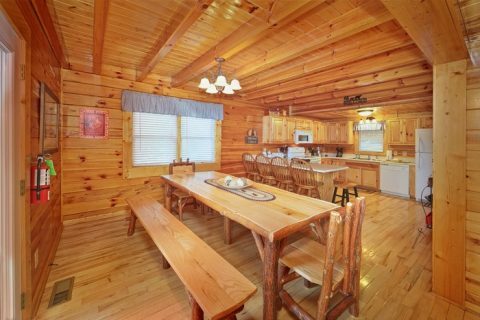 Inside, you'll find a comfortable cabin interior perfect for entertaining. 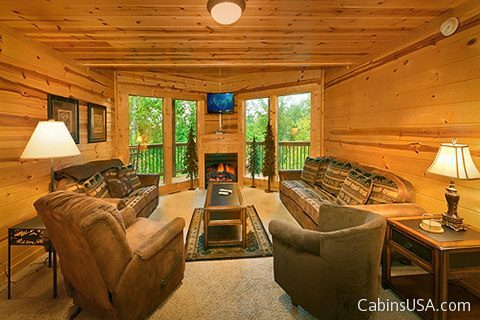 Two elegantly furnished living rooms offer the perfect place to enjoy a movie with friends and family with a wide-screen televisions and gas log fireplaces. 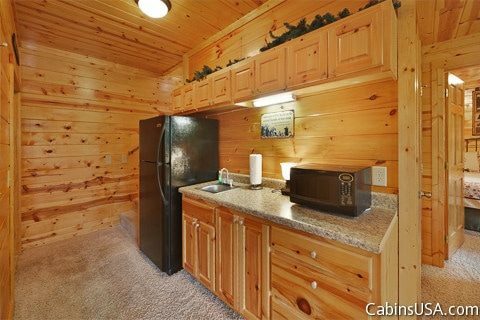 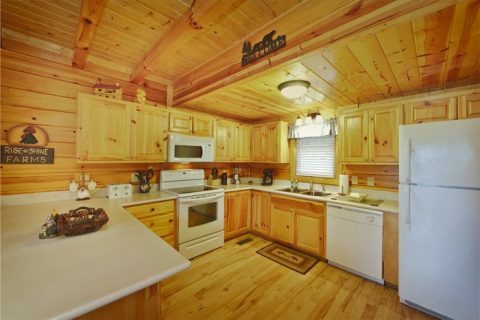 Holiday meals for family reunions are made easy with your cabin's fully equipped main level kitchen as well as the lower level kitchenette with full-size refrigerator. 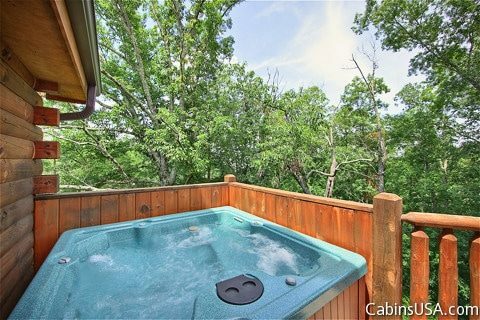 There's plenty of space for enjoying the great outdoors with your cabin's multi-level deck that offers two family sized hot tubs for relaxing in mountains with friends and family. 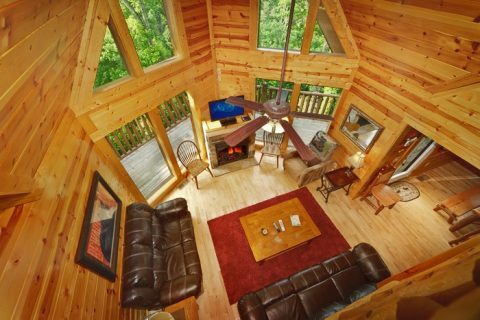 There's plenty of fun to be had in nearby Pigeon Forge, which rests only minutes from your cabin Whether you want to spend the day riding thrilling roller coasters at Dollywood or enjoy some shopping at the Island, you can enjoy plenty to do along the Parkway. 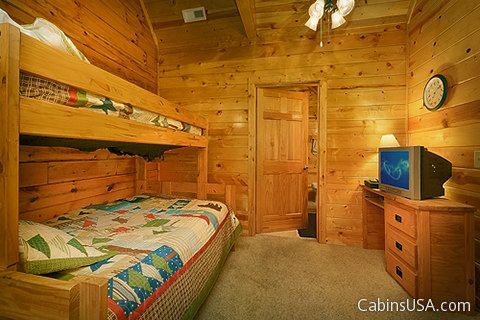 When you get back to your cabin, you can share pictures of your adventures with friends and family back home with your cabin's wireless internet. 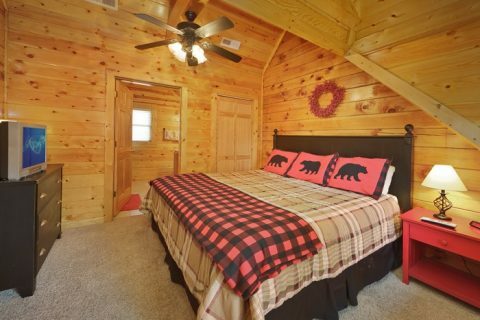 At the end of the day, you'll want to rest up for more fun in the Smokies. 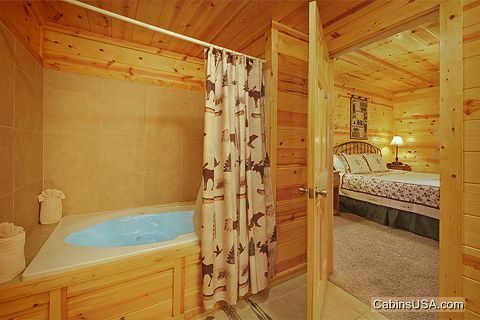 Four of your cabin's bedrooms are king suites, each with their own private jacuzzi tub for a Smoky Mountain spa night. 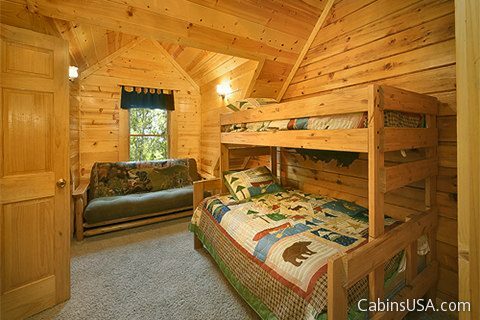 The fifth bedroom houses a bunk bed and futon that kids are sure to love. 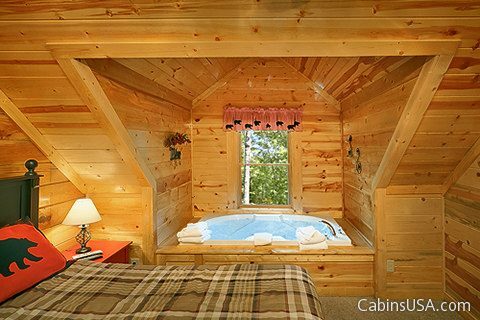 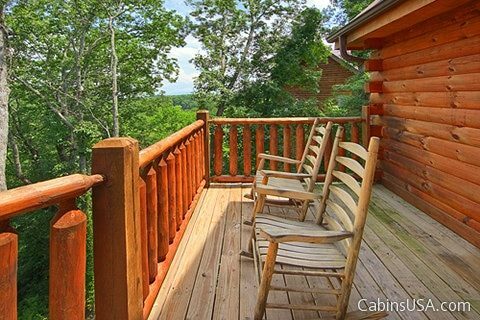 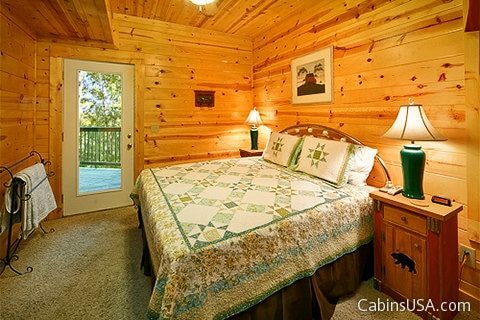 Book your 5-bedroom Tennessee vacation cabin online with Cabins USA and get an immediate Cabin Discount! 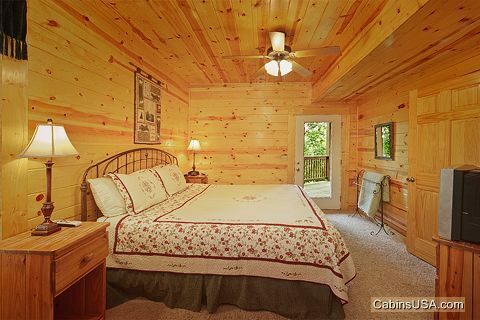 Start planning an unforgettable getaway to this Sevierville cabin rental today!